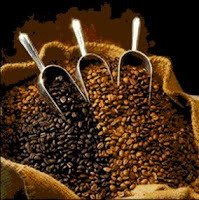 If you love coffee, you'll be glad to know that you can indulge yourself and promote your health too. Coffee is a rich source of age-defying antioxidants, and recent research even suggests it helps prevent Parkinson's and fight diabetes. But I have some jolting news. If the coffee you drink is not organic, you're exposing yourself to cup after cup of high levels of pesticides. Some of the many chemicals commonly used against the "coffee borer" include highly toxic endosulfan, dursban, basudin, and disulfoton. Get the most out of your morning java by choosing organic, shade-grown coffee. You can find it in most food stores, or buy in bulk online from a company like Cafe Altura. Expect to pay about $25 per kilo for organic whole beans versus $16 for conventional whole beans.